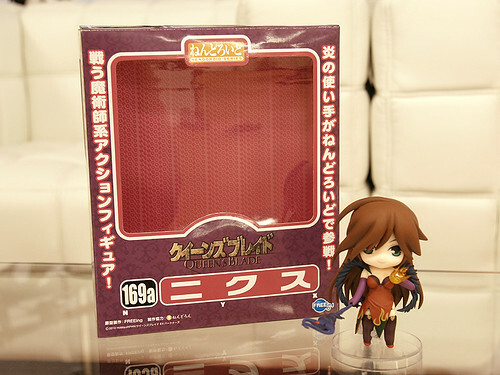 Yep, FREEing has just posted a page for this Nendoroid on their own website which provides some close-up photos. 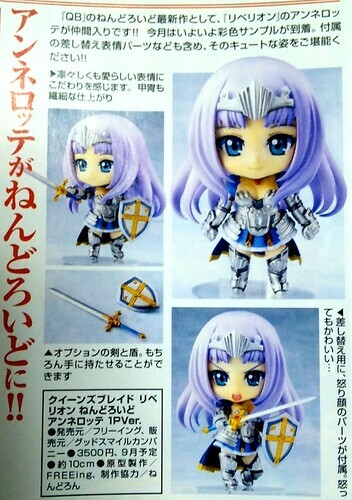 We have just seen a preview of Nendoroid Annelotte a few days ago, courtesy of the monthly hobby magazine scan. 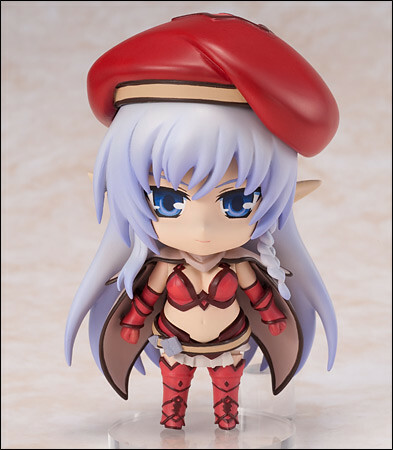 Fast forward to today, the protagonist of Queen’s Blade Rebellion gets her own page on GSC’s website. Yes, it also means that her pre-order has been available starting today. 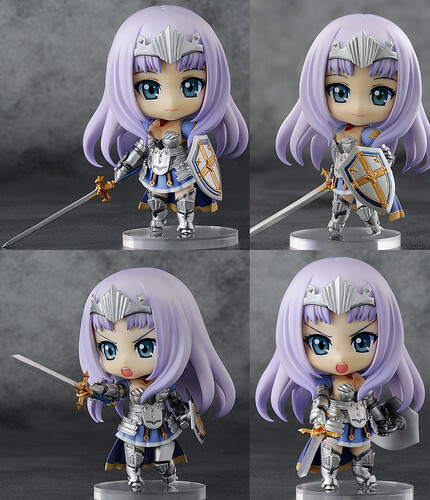 From the TV anime series, ‘Queen’s Blade Rebellion’ comes a Nendoroid of the Knight Princess and leader of the Rebel Army, Annelotte! 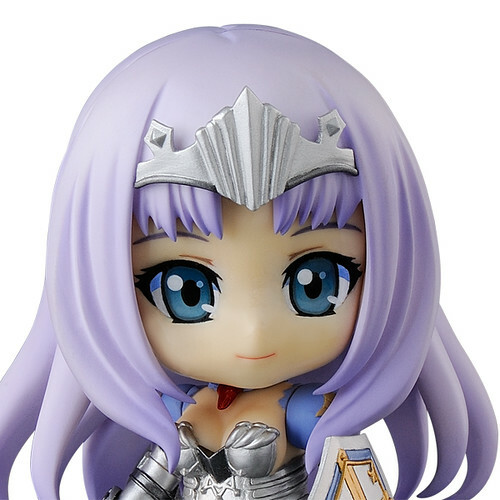 She is going to be produced by FREEing – similar to the previous Nendoroid from Queen’s Blade series – and scheduled for September release with a price tag of 3500 Yen. 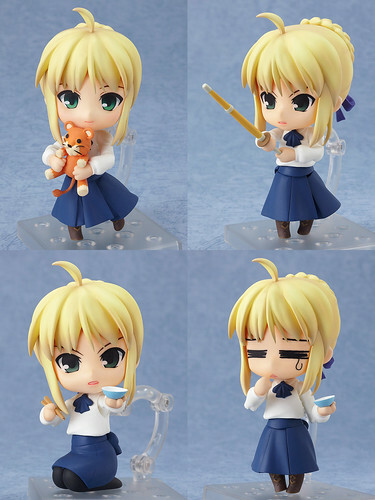 The first ever official Nendoroid Album comes complete with a Saber Nendoroid wearing casual clothes! 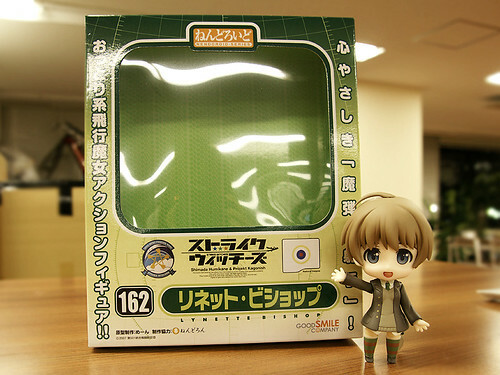 The very first Nendoroid album fulled with the lovable Nendoroids produced by Good Smile Company is going on sale soon! 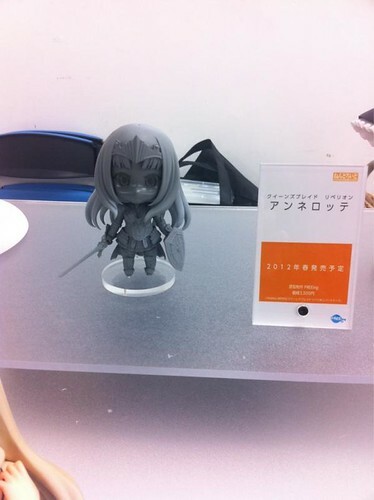 This Nendoroid of Saber in her casual clothes is included as an extra to those who buy the book! She comes with a total of three expressions, a stuffed lion, a fencing stick, chopsticks, a rice bowl and even sitting parts! A huge selection of parts to display her however you think she looks best! Nendoroid Saber Casual will be manufactured by Hobby JAPAN, scheduled for late May release, and priced at 5000 Yen for the whole bundle with Nendoroid Album (a.k.a Nendoroid Complete File book). It seems that the 1P version Annelotte will bring along her sword and shield, as well as two expressions. No other parts and accessories have been announced though. 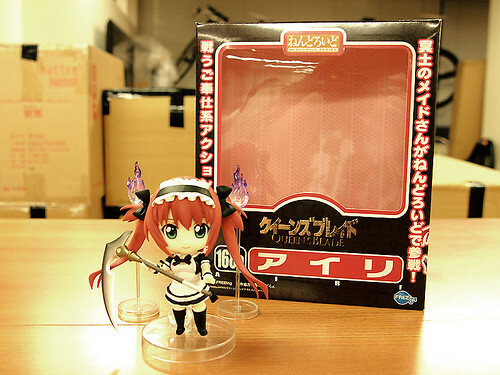 Anyway, Nendoroid Annelotte: 1P version will be available for 3500 Yen and scheduled for September release. 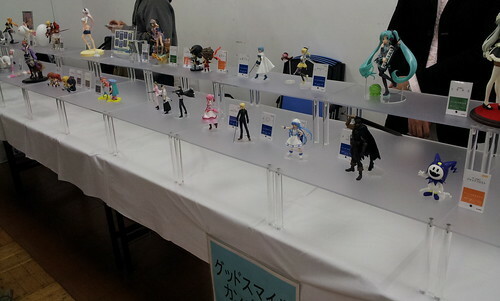 GSC attended a figure/figurine exhibition Miyazawa 2011 Fall earlier today, and they were displaying their upcoming products. 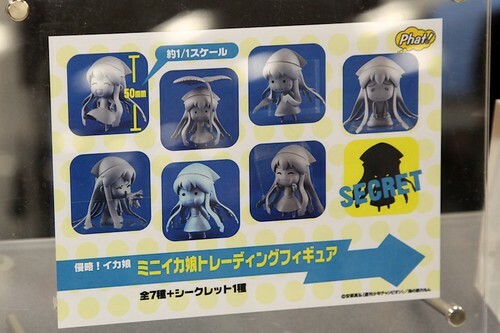 Obviously, some unannounced Nendoroid are also being shown there. 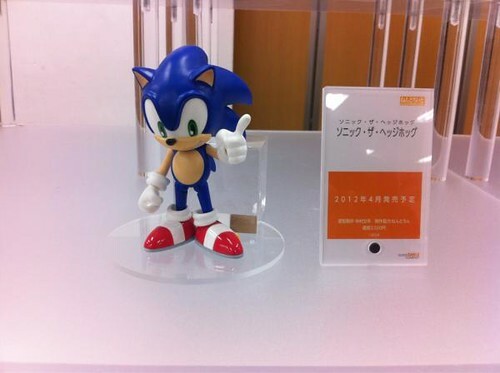 Nendoroid Sonic: The Hedgehog is also displayed there. 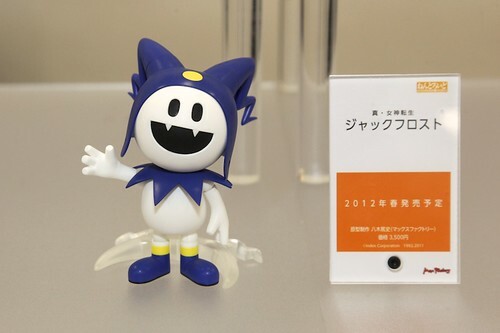 The info board mentioned April 2012 release with a price tag of 3500 Yen.